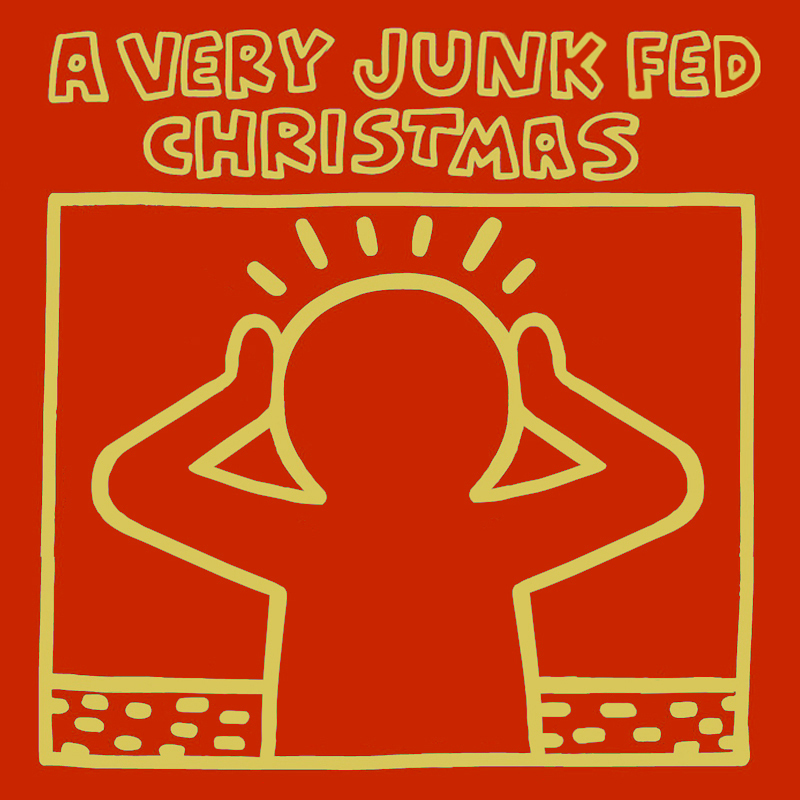 Junk Fed » Christmas Cheer or Noise Pollution? Christmas Cheer or Noise Pollution? By no means am I anti-Christmas. The twinkle and warmth of Christmas is the perfect way to ease into cold and muted New England winter. I particularly enjoy the brief pause in routine that the holiday offers and the flood of nostalgia that it brings. Every year my wife and I head out to a local tree farm to murder an innocent Douglas fir, drag it home, prop it up in a corner of our living room, and dress it like Liberace. 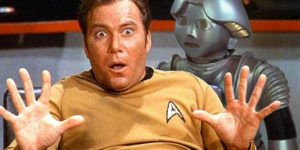 Other than that, we celebrate pretty inconspicuously. We avoid the holiday crowds at all costs, tolerate the obligatory stresses of uncomfortable family gatherings, and endure awkward gift exchanges with co-workers. Our reward is a quiet Christmas morning together huddled with our cats in front of the fireplace. Finally disconnected from work and our respective lunatic families, we exchange gifts, watch A Christmas Story repeatedly, and enjoy our own brand of peace on earth together. My holiday fortitude is weakened, however, when it comes to the inescapable auditory assault that is Christmas music. This year I noticed the first yule-tinged note on Thanksgiving in a Black Friday commercial. I wasn’t ready. From that point on, the musical holiday cheer spread in a pandemic. Overnight, all of life’s normal ambient sounds and background music had been replaced with Christmas music. On television, the radio, in the grocery store, it was everywhere. I realize how humbuggy this must all sound. Again, I am quite fond of the holidays; it’s just that Christmas, in general, feels less about peace and good will with each passing year. Likewise, the songs feel more like a subliminal cue, or the ringing of a Pavlovian (sleigh) bell at which we drool in anticipation. 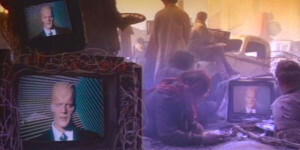 Their genuine intentions long forgotten, these songs are used to bully the public into consumer frenzy. 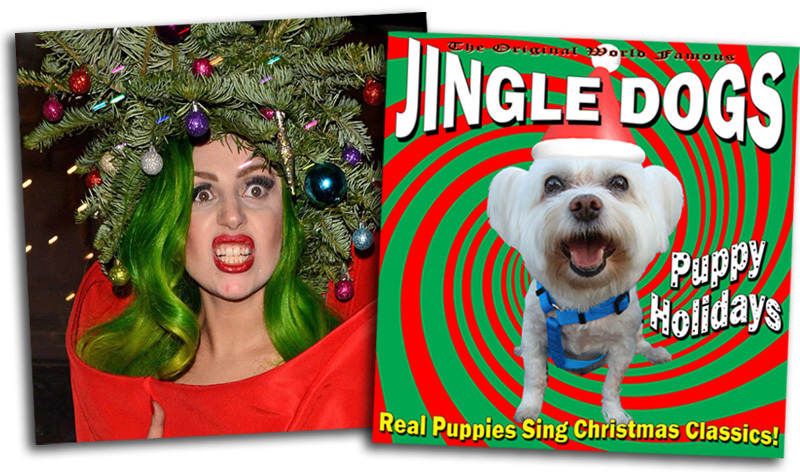 We are inundated by these Christmas earworms that bore their way into our brains, unpack their gaudy, disingenuous sentiments, and settle in for the season. Perhaps my teenage years working in retail throughout the holidays are to blame for this bleak association. The unrealistically positive perma-cheer of the canned Christmas music that was pumped into my places of employment always seemed an incongruous soundtrack to the armies of nasty customers ready to trample each other for a bargain. Some of the standards are so antiquated; they shamble like long-dead ghosts of Christmas past, lyrically haunting us with obsolete sentiments that don’t really translate well in our modern world. I think is been a long time since anyone has gone a-wassailing, so long in fact that we’d be hard-pressed to find anyone who could tell you what wassailing is without consulting Google. Similarly, the song, “Winter Wonderland” has been suggesting that we “frolic and play the Eskimo way,” since 1934. First, I’m pretty sure the indigenous people of circumpolar regions frolic and play just like everybody else. Second, though I’m not certain, I think the term Eskimo has more of pejorative connotation now than it did in the 30s. Or to paraphrase The Big Lebowski, Eskimo is not the preferred nomenclature. Of course it’s all subjective. 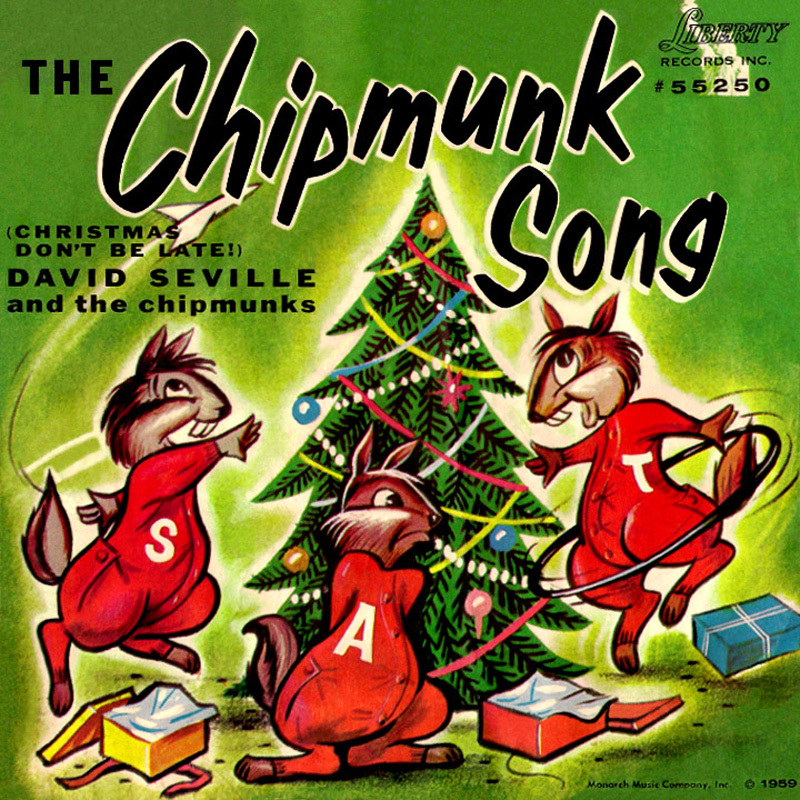 Some folks might find delight in hearing “The Chipmunk Song (Christmas Don’t Be Late),” and might even lament that it doesn’t get enough airplay. At one time, I too enjoyed it as a holiday staple, and even still feel a small level of delight in the way of the chipmunks squeaks that he wants a hooo-lah hoop for Christmas. But now, I find it upsetting that the song still manages to claw its way in through my earholes more than once every Christmas season. Despite how it may sound, I feel that I should clarify that I’m no music snob and have no use for music elitism. 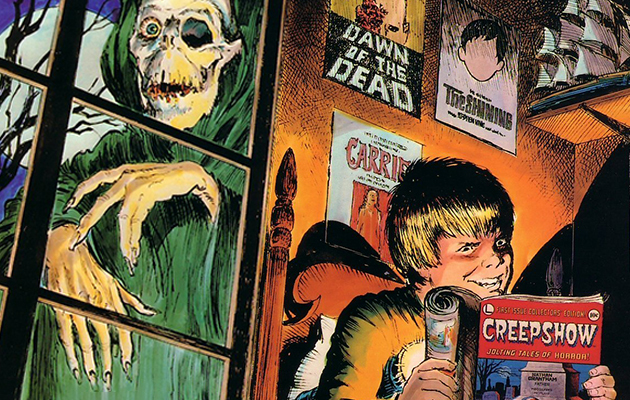 People like what they like, and shouldn’t be chastised for their tastes. I say this as a fan of “Dominick the Italian Christmas Donkey,” a novelty song much like “The Chipmunk Song,” but played less frequently. My personal favorites tend to be the less treacle songs that are reflective of their time. For example “Do They Know It’s Christmas?” a 1984 project by Bob Geldof and Band Aid which served as a relief effort for famine in Ethiopia. “Do They Know it’s Christmas?” abandoned the pollyannish pretenses usually reserved for Christmas songs and addressed a real world problem. Similarly, John Lennon’s “Happy Xmas (War Is Over)” is another song of its time, written in protest of the Vietnam War. Sadly, the song remains as relevant today as it was in 1971. However, both of these songs have suffered from heavy rotation or so many different renditions that any original earnestness is lost. Though a little more tongue-in-cheek, “Weird Al” Yankovic’s “Christmas at Ground Zero” also makes an anti-war statement in the guise of a Christmas song. Released in 1986, it echoes the country’s Cold War anxieties. Some might dismiss it as a novelty Christmas song, but I think it’s a statement of its time. We were genuinely worried that senile old Ronnie Reagan would accidentally lean on the button and nuke us all into oblivion. But hey, Merry Christmas everybody! If not for the lyrics and the use of an air raid siren, “Christmas at Ground Zero” might even pass for a typical Christmas song reminiscent of The Ronettes. Granted, it doesn’t make for a very cheery yule-tide standard, but one can appreciate its honesty. Run-D.M.C.’s “Christmas in Hollis” is one of my personal favorites. Released in 1987, and born of a time when MTV still played music videos, it’s one of the most popular Christmas rap songs. “Christmas in Hollis” tells a story of Santa Claus losing his wallet while chillin’ in a park in Hollis Queens. Practicing good will toward men, Run-D.M.C. set out to return the wallet to Santa, securing a spot on his nice list. The song manages to convey the Christmas spirit down to the jingling bells, but breathes new life into it both lyrically and musically. “Christmas in Hollis” is enjoying a heavier rotation these days, but thanks to its ability to stand out from the crowd, it still hasn’t worn out its welcome with me. My all-time favorite Christmas song is “Father Christmas” by The Kinks. The song is an energetic arrangement typical of The Kinks that plays well any time of year. It’s sung from the perspective of a department store Santa who is being mugged by a group of poor children who demand money rather than impractical toys. One of the muggers even asks Santa for a job for his unemployed father. Like the aforementioned songs, “Father Christmas” doesn’t sugar-coat the holiday as the most wonderful time of the year, but instead it takes a Dickensian approach that reminds the listener to consider those who are less fortunate. If I could hear only one Christmas song all year, “Father Christmas” would be it. I’m not suggesting that Christmas tradition be abandoned completely; I just wish the seasonal soundtrack offered a wider variety. Certainly, you can’t go wrong with anything in the care of The Vince Guaraldi Trio, Johnny Mathis, Nat King Cole, or Ella Fitzgerald, and there’s always room for the classical arrangements and liturgical carols, even for us agnostic heathens who enjoy the secular, if not pagan, aspects of the holiday. But it might be nice if a rogue DJ would break from the programming and dig up rare gems like “Christmas at Midnight” by Leadbelly, “Santa’s Second Line” by the New Birth Brass Band, or “Merry Christmas (I Don’t Want To Fight Tonight)” by the Ramones. Outside of the Top 40, creative and inspired Christmas music does exist yet somehow we are inundated by overcooked Christmas hams recorded by the likes of Michael Bolton, Mariah Carey, Paul McCartney, or Elton John. Perhaps I’ve just reached my Christmas music threshold, much like a sudden onset allergic reaction from prolonged exposure to an allergen. I am heading into my 39th Christmas, after all. Assuming that I have been exposed to a month’s worth of Christmas music per year, it adds up to an over three-year long helping of Christmas music, of which there has been little variety. 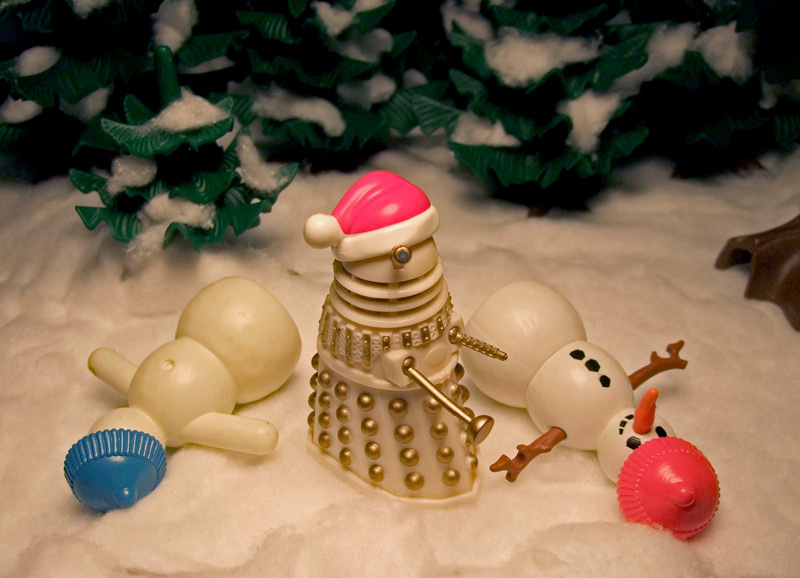 Personally, I delight in the idea of a department store playing “Merry Christmas” by Wesley Willis, and I certainly wouldn’t mind if “I’m Gonna Spend My Christmas with A Dalek” by the 60s British band The Go Go’s became a holiday staple (I might be alone on this one). Perhaps, I’ll treat my coworkers to some interfaith crossover of Oy to the World, an album of Christmas classics played in the style of traditional Jewish klezmer. Come to think of it, it might be nice to hear some genuine Hanukkah music. It hardly seems fair that one Christian holiday gets all the airplay. Like I said before, it’s all subjective. I guess that’s what ear buds are for. 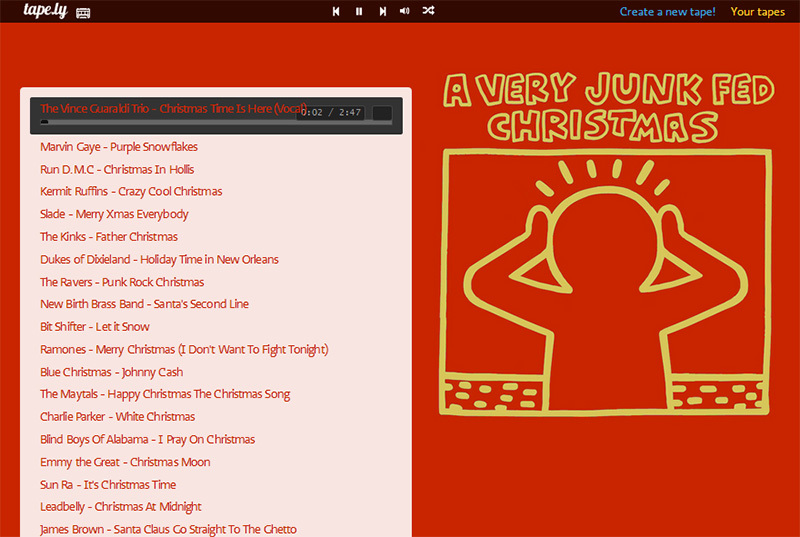 I WILL be listening to this Christmas Mix-Tape over the next two weekends. I’m glad you added the Waitresses! Thanks for checking it out. Glad you like it. Yeah, the waitresses do get a good amount of play, but it’s still one of my favorites.